Amigo Plant is the first succulents grower to see the added value in its challenging field. It is a leading nursery in Noord-Holland that was selected in 2017 as Agrarian Enterprise of the Year. 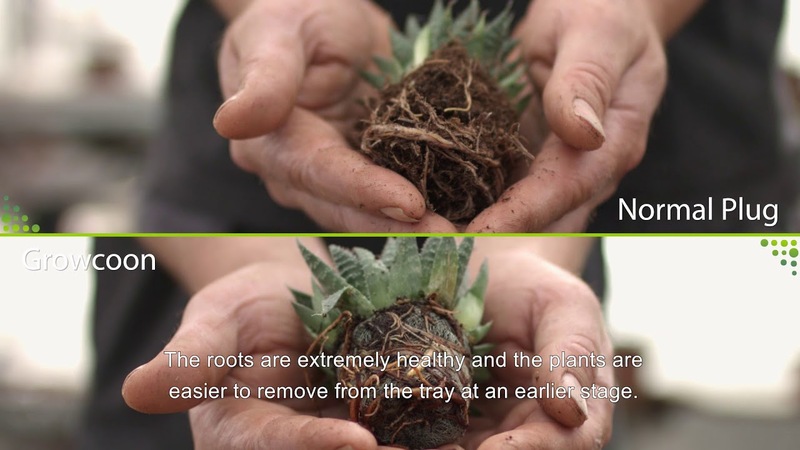 In the Netherlands and Portugal, Amigo Plant cultivates the highest quality products, such as Echeveria, Crassula, Kalanchoe, Aloe and Haworthia. It also creates many pot-plant combinations and arrangements to suit the various holidays and seasons. The company considers the key benefits of the Growcoon to be faster and easier handling. Amigo Plant is a nursery with more than 19 hectares of glasshouses spread over multiple locations in the Netherlands and Portugal. More than 60 species of succulents are grown at these nurseries in various pot sizes. The wide and dependable range is sold to the professional trade, such as wholesalers, cash&carry, garden centres and retail. A few key products are: Echeveria, Crassula, Kalanchoe, Aloe and Haworthia. It also creates many pot-plant combinations and arrangements to suit the various holidays and seasons. Due to the optimum conditions at a nursery in Portugal, the best quality products are guaranteed all year round. The main benefit to Amigo Plant is that the Growcoon saves the company weeks when cultivating succulents.